Take a walk through any office building these days. Once you understand the savings proposition from LED lighting, all you can see is money falling from the ceiling with the electric humm of fluorescent buzz raining down. Whether it's the building's owner, company, or landlord, someone or some company is paying for a lot of tee times at the local utility. Let's take a look at one of the places that LED lights can have the biggest impact, Office lighting. 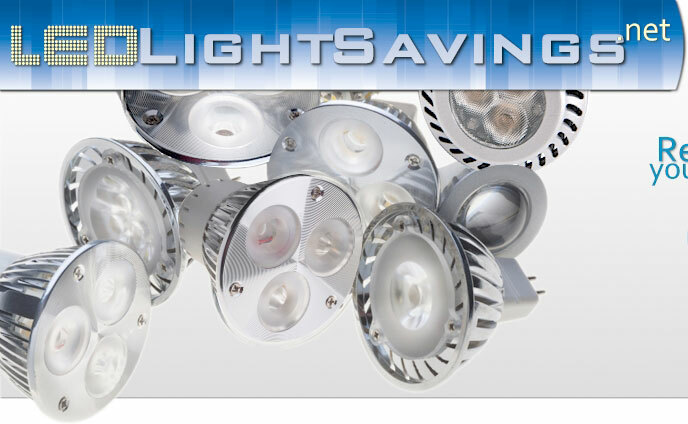 Office lighting is a perfect target for LED lights and the savings that ensue. Office lights typically run longer than residential lights which is a big component of the cost comparison between LED and fluorescent lighting. Why concentrate of fluorescent? T12's are the common lights you'll find in most office spaces. You'll also find a range of spots, general lighting, and other fluorescent form factors (T8, etc) but T12's do the heavy lifting in most office spaces. T12's are actually there due to their relative energy efficient when compared to incandescent lights. That being the case, let's look at a T12 versus the equivalent LED light for a quick snapshot of how the costs pencil out on a pure lumen to lumen basis before we look at contributing factors in LED's favor. A standard T12 light will run $1.50 per tube and they're usually sold in bulk. The wattage for a T12 bulb is usually around 34 watts while the replacement LED bulb typically runs about half at about 17 watts. The fluorescent also requires a ballast which must be powered separately at about 10-15 watts per ballast and a ballast will usually power up 2 to 4 bulbs per fixture. This power savings is a big part of the cost difference in lighting over a 5 year window for office space since they are typically running 10+ hours (8 hours of operation plus 1 hour on each end). You multiply this per bulb power savings over 100's if not 1000's of bulbs and you quickly generate significant savings. The bulbs will also not need to replaced nearly as often since fluorescents will typically last 7000 to 9000 hours but lighting quality deteriorates as a fluorescent bulb ages due to how it works and cycling (turning on and off) can significantly impact both the age and quality of light generated. LED's have no problems with cycling and come right on as opposed to fluorescent which must "power up". The LED bulbs we use will generally last 50,000 hours. That's right 50K versus 9K. Office buildings are also generally running large numbers of bulbs which requires labor to safely replace them. So why would anyone stay with flourescents for office lighting. The cost of LED bulbs are higher but with new government rebates and the decreased need for replacement, this allows a business to keep the power savings generated by a lower wattage. Government rebates for LED lighting is more substantial for businesses with not only a per bulb and per watt rebate but also a per square foot savings in most cases. One other key factor. The T12 is being phased out starting Jan 2012 and replacement ballasts (which fail) are already phased out. One year from now, this whole discussion will be moot. What about your other office lighting (outside of fluorescent)? The numbers are even better for general lighting, spots, and high intensity floods since most of those are high wattage incandescent or expensive CFL's (which have poor quality light) by the way. The government rebates still apply for these lights and the wattage (power) savings is considerably higher. Office lighting is ideally suited for LED lights for a number of reasons but one big one is the aesthetic quality and color of the actual light. LED lights are a much truer light than fluorescents and CFL's and now with our color tuning, we can provide daylight and bright white colors that office environments require. We're happy to run a LED light quote for your office space today!